Samuel is in demand as a chamber musician, accompanist and repetiteur. His sensitive accompaniment has led to recitals with talented young instrumentalists and singers including Oliver Coates and Katrin Wundsam. He is in demand as a private coach and has worked with singers including Ailyn Pérez, Rinat Shaham, Elza van den Heever and Bo Skovhus. Samuel began studying the piano with Sonia Harris at the age of 5, then won a scholarship to the Junior Royal Academy of Music to study with Antonietta Notariello. While at Oxford University Samuel studied with Raymond Fischer, and his final recital (of Beethoven, Hindemith and Schönberg) was placed in the starred first class. Samuel has worked as an accompanist on a wide range of repertoire, and following his year in 2008-9 on the National Opera Studio repetiteuring course, supported by Welsh National Opera, the Countess of Munster Musical Trust and the Musicians’ Benevolent Fund, he was engaged as a repetiteur by the Oper Köln. From 2011 to 2014 Samuel was on staff at the Hamburg Staatsoper as a repetiteur and conductor. 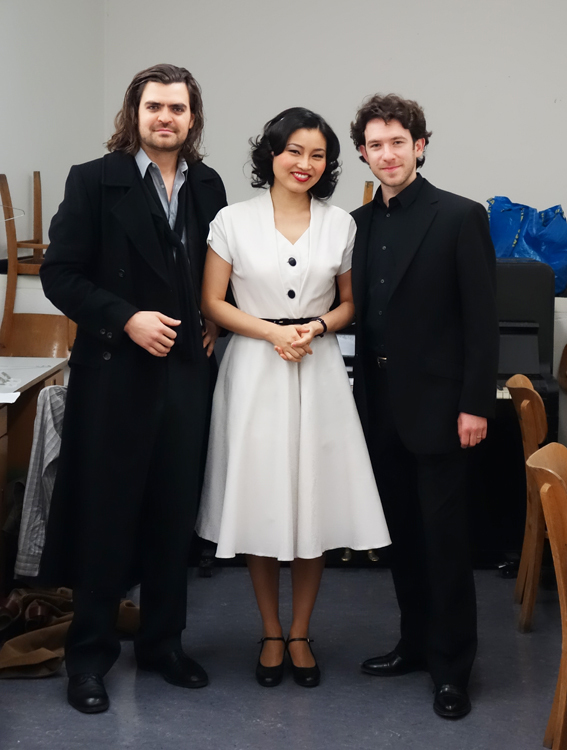 As Kapellmeister in Mainz since 2014 he continues to work closely with singers as a coach and pianist.